We were somewhat aimlessly walking around Mauerpark when we came across this gem of a place. 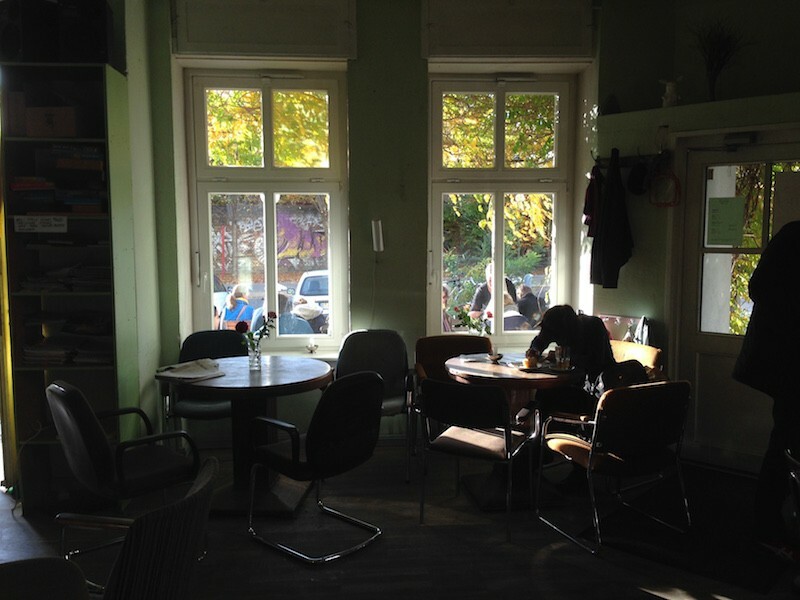 Café Niesen is a very atmospheric coffee shop located around the park area in the northernmost part of Prenzlauer Berg. A stones throw away from the border with the Wedding district. Just walk along where the Berlin Wall was and you will get to this place. This is totally off the beaten path. A place to hang out with the locals. 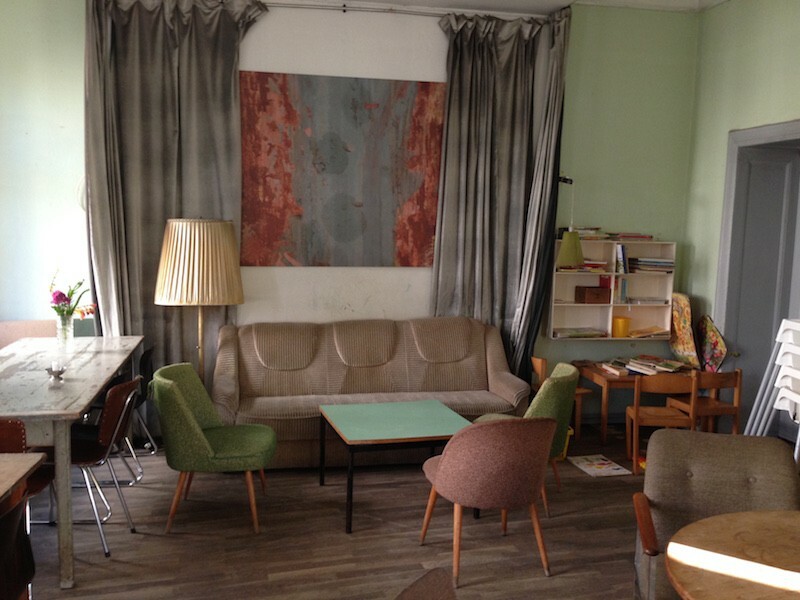 Café Niesen has a super authentically nostalgic and yet cool feel. The furniture and light fixtures are a mishmash of vintage styles, probably collected from families that lived around that area (at least we like to imagine it that way). And that ambiance is what makes it special. Non pretentious, super comfy and casual. The coffee here is delicious and carefully prepared. They also have a relatively small selection of pastries and homemade cakes. During the warmer months people sit outside and observe life go by right in front where the Berlin Wall once stood. We had read that this was somewhat of a “no kids allowed” kind of place. 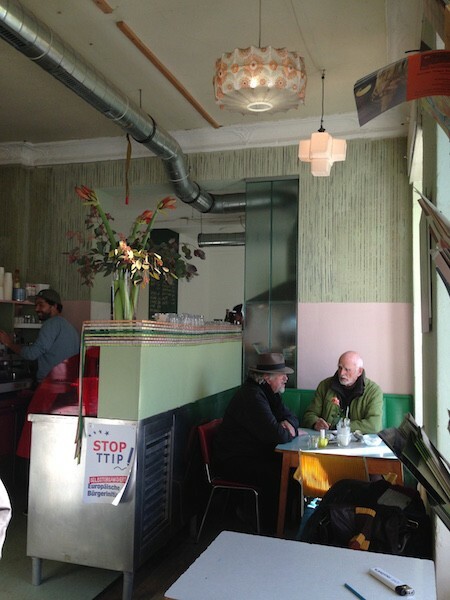 However, our friends from Slow Travel Berlin informed us that kids hang out here with their parents all the time. Thanks for the heads! So there you have it. Bring your kids as well! With that said, the place does have more of an adult feel to it. At least, that’s the vibe we got. Naturally, if you are in the area, make sure to visit Mauer Park. On Sundays they hold one of the biggest flea markets in Berlin. It is super busy and fun. If you are there during the afternoon, stick around for the giant public karaoke! Or walk towards Bornholerstrasse Bridge. This was the place where people were able to get into West Berlin from the East on the famous night of November 9th, 1989. At the time of this review, this was the closest to a website we could find for this place.